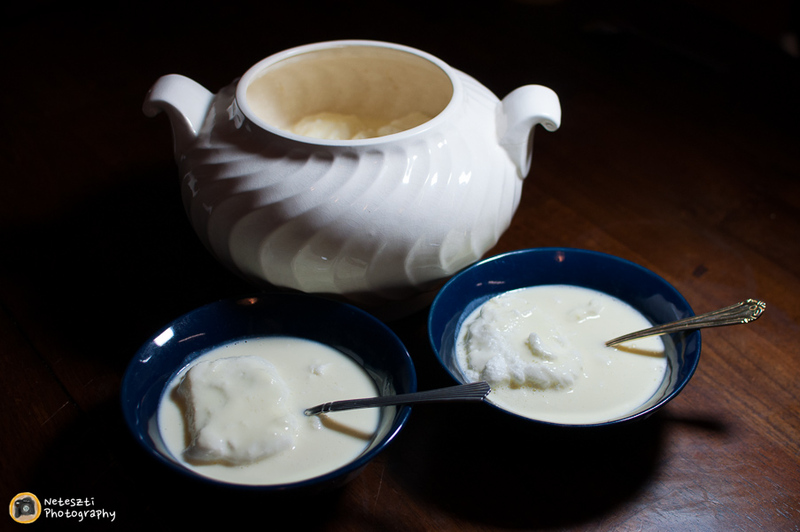 Literally translated from Hungarian this light delicacy is called Bird’s milk while the English cuisine named it Floating islands or the French called it Oeufs á la neige (eggs on cloud). It is simple, fun for kids and adults alike and delicious, something my Mother loved to make when I was little. 1. 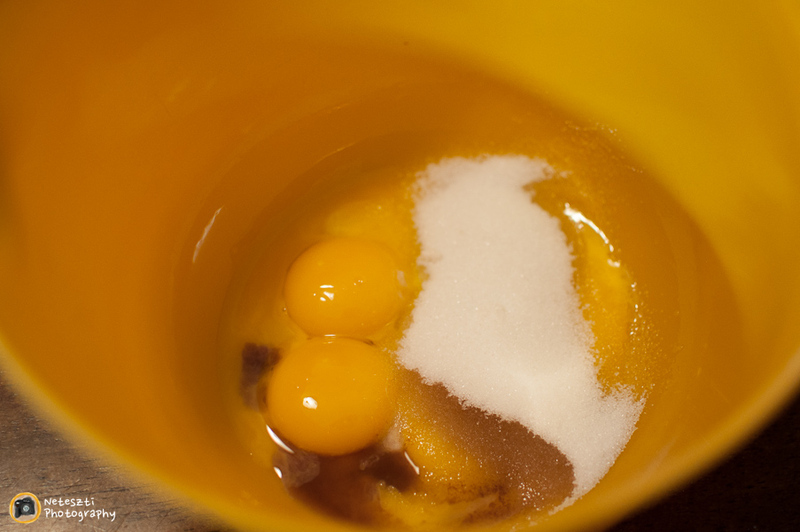 First separate the eggs, then add the sugar and vanilla to the yolks and mix it until its color turns into a lighter yellow. 2. 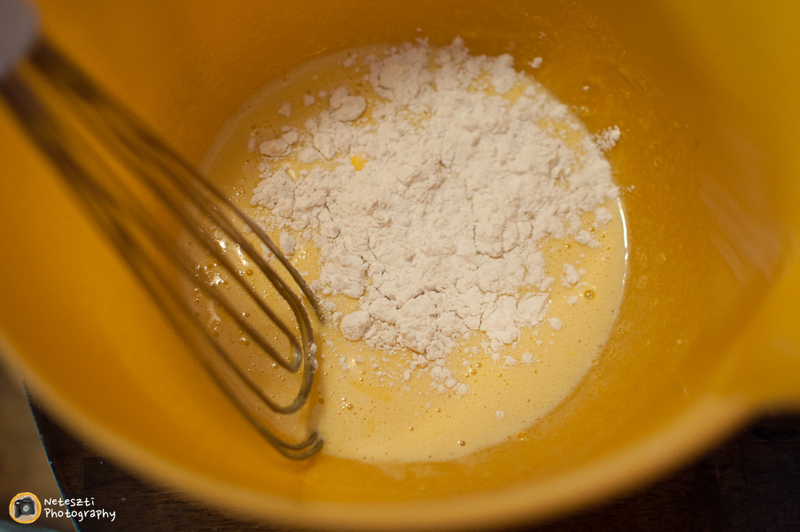 Mix in the flour and put it to the side when it’s done. 3. 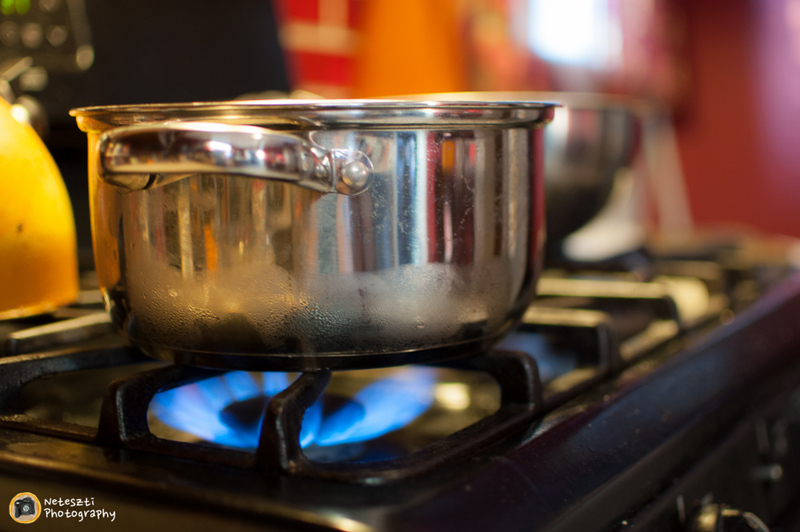 Start boiling the milk on the stove (you could add vanilla pods or seed if you haven’t used any with the yolk). 4. 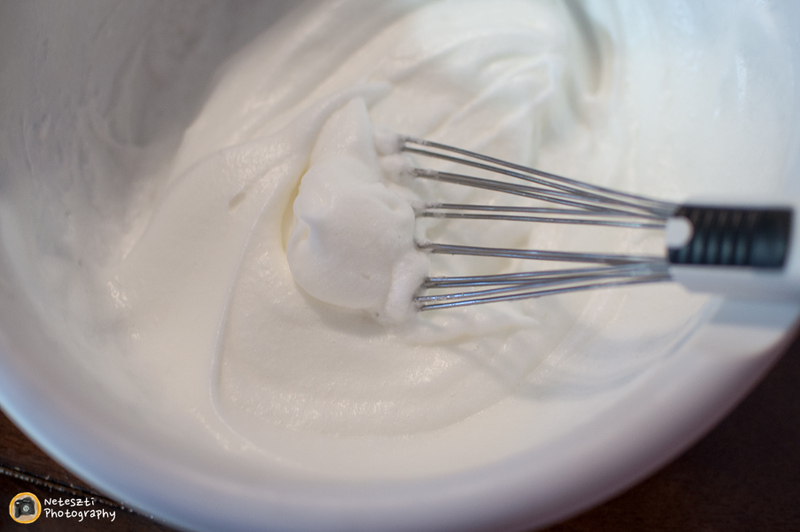 Beat up the egg whites until you get a dense egg foam. The floats doesn’t have to be sugary because the cream is sweet enough but extreme sweet-lovers can add some when the foam is close to be ready. 5. 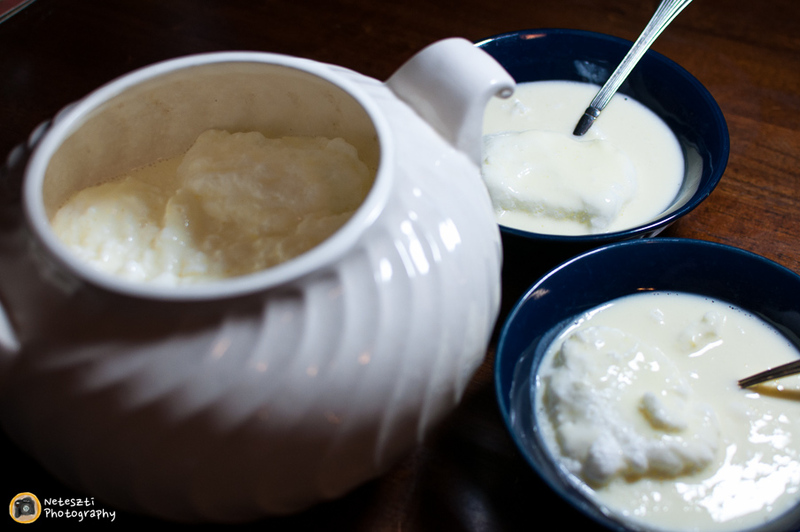 Use a big straining spoon to scoop up the foam and gently place them into the hot milk, cooked them on both sides for a minute or two before placing them in a separate bowl or plate. 6. 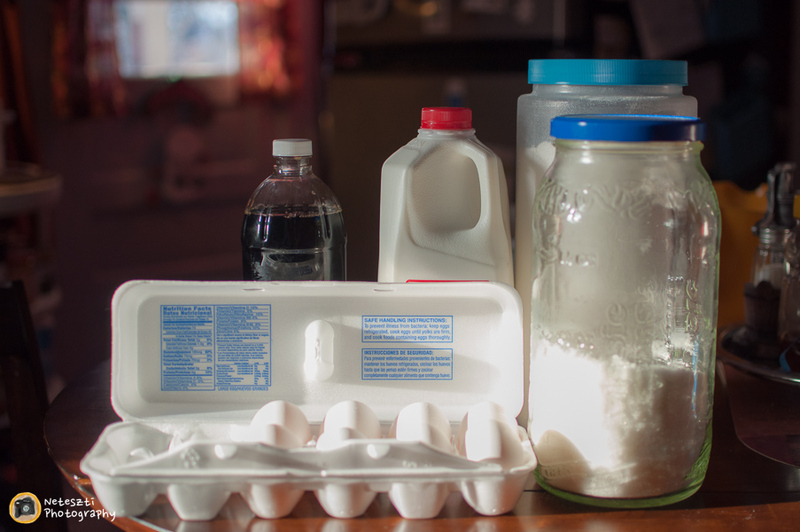 Get ready your yolk mixture! 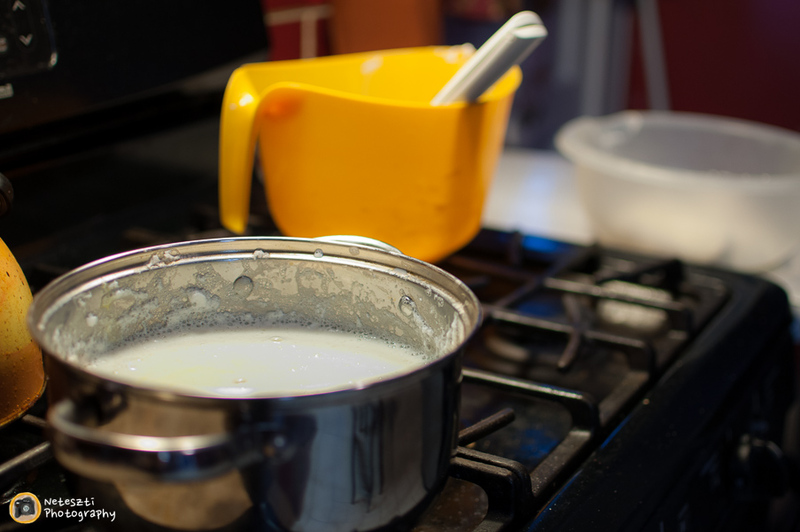 Spoon in a little bit of hot milk and mix until the temperatures are more even then poor the egg yolk into your pan of milk. Boil it and stir it until it slightly thickens. The consistency of the cream depends on your preference, it can be very liquidy and more cream like as well if you use a little bit less milk. Don’t forget, it will thicken up more while cooling! 7. 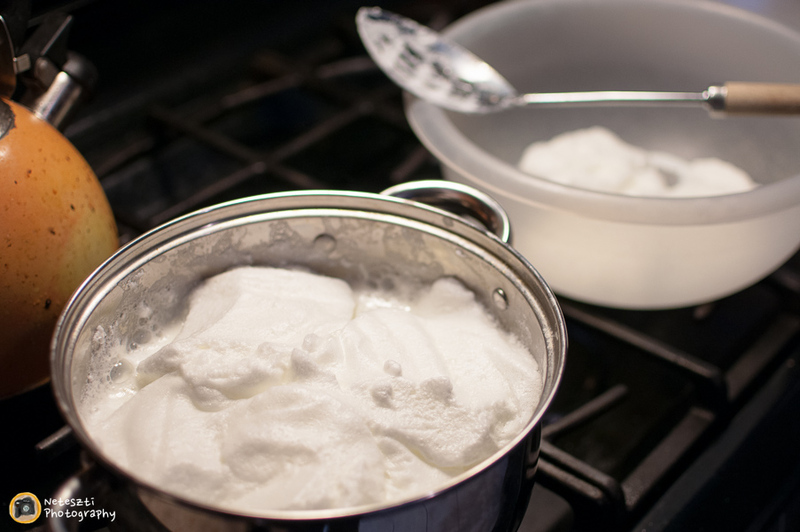 Please your cream in a bowl and gently deposit the fluff on top then put it to the side to cool (it can be kept in the fridge, but since it’s really cold outside I just used a lid and placed it outside). 8. It can be eaten on room temperature if you are really impatient (like I was) but it’s better a few hours later when it is appropriately chilled.